Dossett Farms LLC and Infocus Entertainment LLC film “Gas Light”, renamed as “Nun”, has been trending on U.S. streaming channels since appearing on Amazon.com, Amazon Prime Video, and Apple iTunes. A distribution deal was signed in August 2018 and the film immediately got attention on streaming services after launching in mid-September. The film stars Julianna Robinson as the titular character Sister Gracie Rose and William McNamara whose previous works include “Stealing Home” with Jodie Foster and “Copycat” with Sigourney Weaver and Harry Connick, Jr.
“Nun” follows a troubled Sister Rose as she attempts to confront her past by visiting a former romantic interest in a distant city. Along her travels she stops in a rural town to retrieve an item from a storage facility, eventually finding herself trapped in the building and forced to face her inner demons. 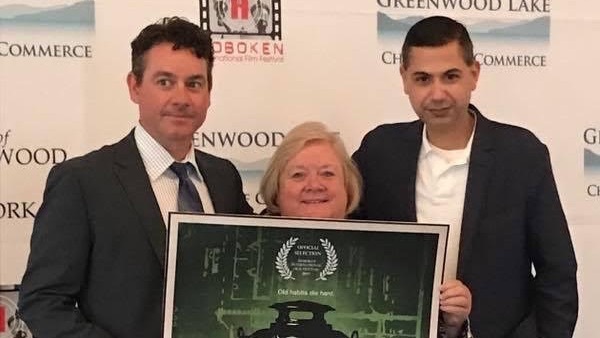 Upon completion, Dossett and Cuellar took their film around the festival circuit, including a world premiere screening at the 2017 Hoboken International Film Festival where the project placed in the top 5 out of more than 1500 submissions. Eventually the film caught the attention of Porter Pictures who signed on as a sales representative. In September 2018 the film was released to U.S. digital platforms by Cinema Epoch. While Cuellar and Dossett found a distribution partner, they were informed that the marketing for their film would have to be modified to make it more attractive to available channels. This approach hasn’t come without negative repercussions. Because the new title and poster art was so similar to another film “The Nun”, the latest installment of The Conjuring series, directed by Corin Hardy and currently in theaters, the customer reviews of “Nun” have been polarizing. Many reviewers shared their confusion and anger, expecting to watch Hardy’s “The Nun” only to see Dossett’s “Nun” appear on their screen. Dossett and Cuellar have already teamed up with Porter Pictures for their next film project, a drama set in the world of mixed martial arts titled “Wolfpack”.